Bronwen Thomas is a Professor in the Faculty of Media and Communication at Bournemouth University. 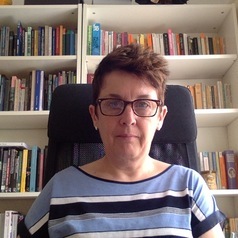 She has published widely on new media narratives and participatory cultures, and is currently researching the impact of digitisation on readers and reading, with funding from the AHRC. Before beginning her career in academia, Bronwen worked as a desk editor in publishing, working on lifestyle titles and sports books.